GEORGE NEWS - The police are looking for information that could help them find Anovuyo Makhasi (17) of Empolweni Street in Zone 6, Thembalethu. 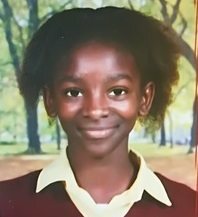 She was last seen on her way to school on Wednesday 10 April at 06:30. She was wearing an Imizamo Yethu school uniform. She did not come home and her whereabouts are unknown. Anyone who has seen her or has any information, should please contact Lieut-Col Eric Julies on 044 802 8926 / 082 778 7254.